What and how you eat and drink has a significant impact on the health of your teeth and gums. Therefore, an effective oral hygiene regime must take your diet into account. 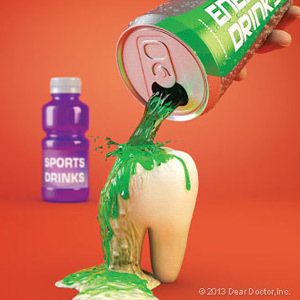 Acid is your teeth's enemy; it can erode their protective enamel coating (a process called demineralization). Certain foods and beverages (such as citrus drinks and coffee) contain it, and it's produced by bacteria in your mouth that feed on dietary sugar and release acid as a byproduct (a process called fermentation). Your allies are foods and beverages that neutralize acids, provide minerals and vitamins to repair tooth enamel, and stimulate saliva. Sugars, the leading promoter of dental decay, exist in many forms in our diet. Some occur naturally, while others — referred to as “free sugars” — are added by the manufacturer, cook or consumer. The latter are most often linked with decay. Soft drinks are the primary source of dietary free-sugars in the U.S.
Sugars in fruit, vegetables, milk and unprocessed, starch-rich foods such as rice, potatoes and whole grains, do not appear to be harmful to teeth. Note, however, that dried fruits contain a highly concentrated sugar level and can stick to tooth surfaces. The sugar substitutes xylitol and sorbitol appear not to promote decay. In fact, there's evidence that chewing xylitol-sweetened gum three to five times daily for at least five minutes (after meals) stimulates saliva flow, which helps protect against decay. 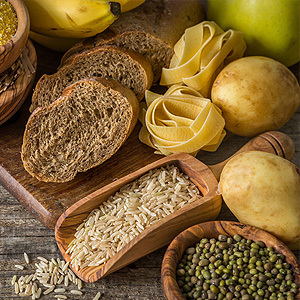 In addition to eroding tooth enamel, acidic foods and beverages create an environment where it's easier for decay-promoting bacteria to flourish. Saliva can reduce acidity but it must have time to work, at least 30–60 minutes. That's why behaviors that maintain acid levels, such as sipping coffee throughout the day, can be harmful. Water — keeps you hydrated, which is important for saliva production and preventing dry mouth (a condition that promotes acid-producing bacteria), and helps wash away food particles; fluorinated water bestows the protective properties of fluoride (a compound that makes tooth enamel more resistant to acid erosion and promotes re-calcification). As you can see, brushing and flossing effectively is just part of the oral hygiene equation.